Native Philadelphians know that the City of Brotherly Love is known for cheesesteaks, soft pretzels, Tastykakes and scrapple. Gluten-free versions of the first three products have been available locally for a while, and now scrapple can be added to that list. 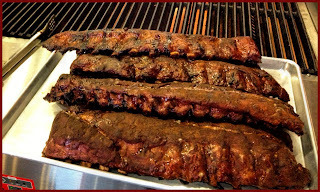 Thanks to reader Marcella A., who told me about the Old World Sausage Factory in Hatboro (37 S. York Rd., 215-444-0449), which is producing gluten-free scrapple (made with buckwheat and cornmeal instead of wheat flour). In addition, many of the sausages do not contain gluten. 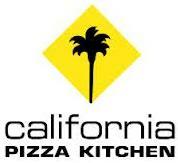 Hours are Thursday to Sunday from 10 a.m. to 6 p.m.
After an unsuccessful attempt at offering gluten-free pizza two years ago due to cross-contact issues, California Pizza Kitchen will reintroduce the item in October at locations nationwide. The chain has been working on an improved preparation method so that the pizzas will be safe for those with celiac disease and severe gluten sensitivity. Paesano's new Center City Philadelphia location (202 S. 13th St., 215-545-3357) is delivering its gluten-free sandwiches within a five-block radius. A couple months back, I wrote about gluten-free options at Vino Volo, which has four outlets at Philadelphia International Airport. General manager Meg says that gluten-free guests at the D/E Connector location can now enjoy the cured meats, cheese plate, smoked salmon rolls and chickpea & chorizo chili with Glutino bagel chips. These items (except for the salmon rolls) are available without the bagel chips at the B/C Connector, Terminal B - Gate B9 and Terminal A West - Gate A17 locations. Other gluten-free items include cured olives, Marcona almonds, mixed greens, braised pork tacos with corn tortillas, and the roasted chicken breast salad. Jose Garces is bringing his modern Mexican cuisine to suburbia. Moorestown Patch reports that the celebrity chef will open another gluten-free-friendly Distrito location, this one at the Moorestown Mall. Though no opening date was announced, the new spot likely won't be ready until sometime in 2014. On the sweet side, Koliyan is serving its exotic Cambodian desserts at Philly-area pop-ups and festivals. You can read more about the bakery in Tuesday's post. Reader Kerry C. let me know that celebrity chef Aarón Sánchez has a line of gluten-free Mexican meals - barbacoa, carnitas and arroz Mexicano - available at BJ's Wholesale Club. 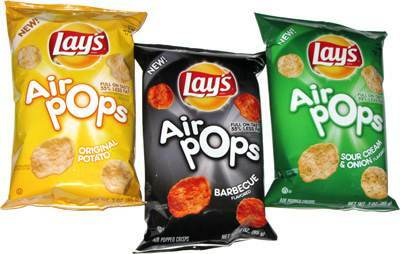 Lay's new Pop Chip clones, called Air Pops, contain no gluten ingredients. They come in three varieties: Original, Barbeque and Sour Cream & Onion. I'm officially calling the gluten-free pasta market (and for that matter gluten-free baking mixes) saturated - al dente, if you will. 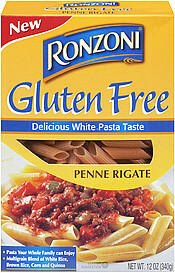 That said, I'm duty bound as a gluten-free food blogger to report that Ronzoni has a new line of gluten-free pastas, manufactured in a dedicated facility. The multigrain penne rigate, spaghetti and rotini are made with white rice, brown rice, corn and quinoa flours and will be available nationwide. 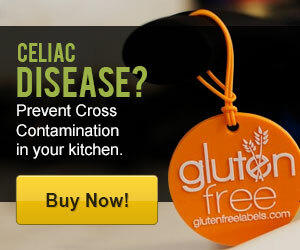 Not to be left out, another American pasta brand, Mueller's, has its own gluten-free versions. Its corn/rice spaghetti, fusilli and penne are processed in a facility that uses wheat, egg and soy.